New Jersey is one of the most stereotyped states in the country. The popular opinion is that it’s the armpit of the United States, but those who have actually spent time there know how much there is to love about it. Jersey is equal amounts suburban, rural, and urban, and it combines the quaintness of Pennsylvania with the grittiness of New York City. It’s a place where you can live out your mall-rat dreams, eat diner food at 3am, hike part of the Appalachian Trail, and hear live music at The Boss’ old stomping grounds. From a construction-themed amusement park to a deserted village in the middle of the woods, these are the best things to eat, see, and do in New Jersey. 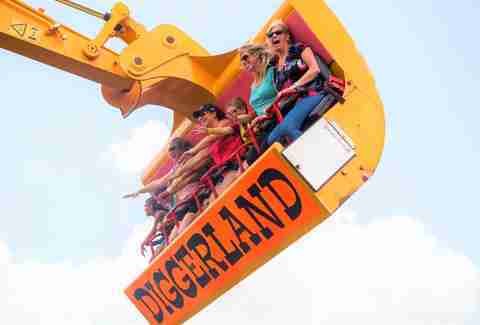 You could easily hit the Jersey location of Six Flags and ride Kingda Ka, OR you could visit the wonderfully eccentric Diggerland, an amusement park dedicated to all things construction (the lines are much shorter than at Six Flags). There are two versions of the theme park: a kid-friendly one with tractor-themed rides and Diggerland XL, where you’ll actually get to operate heavy machinery by yourself (don’t worry -- an instructor will guide you along the way through a radio). The best late-night food in Jersey is an insane French fry-stuffed sandwich that can be found by Rutgers. The so-called “Fat Sandwiches” are loaded with just about every comfort food you can imagine (like the Fat Darrell, which comes with chicken fingers, mozzarella sticks, and French fries covered in marinara sauce) and used to be sold at food trucks around campus, though they’re now predominantly available at the brick-and-mortar location of RU Hungry, on the school’s New Brunswick campus. 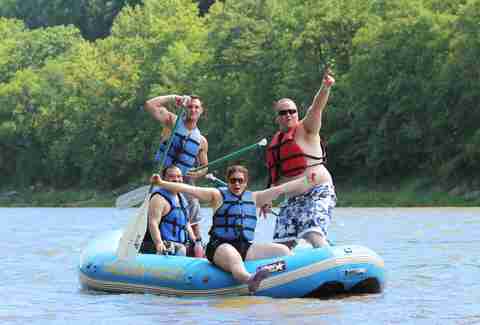 Along the border of New Jersey and Pennsylvania, the Delaware River is the site of the best river tubing in the area. The river is relatively calm but gets just enough white-water rapids to guarantee some thrills. There are a few places to rent tubing equipment, but your best bet is at the aptly named Delaware River Tubing company in Milford -- the price of rental includes a meal (two hot dogs or a cheeseburger, plus a soda and frozen candy bar) from the self-described “Famous River Hot Dog Man,” aka a river boat snack bar. If you like history and/or the musical Hamilton, then it’s necessary that you make a visit to Weehawken (“Weehawken. Dawn. Guns. Drawn.”) to see the dueling grounds where Aaron Burr shot and killed Alexander Hamilton. The site is just across the Hudson River from New York and still features the bouldering rock that Hamilton lay on after he was shot. The Jersey beach town of Wildwood is known for its boardwalk amusements, free beaches (you have to pay to get onto many down the shore), and 1950s architecture. 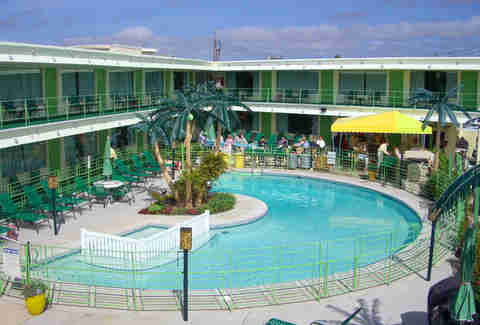 At its mid-century peak, the town was filled with more than 300 doo-wop-style motels that have a space-age-meets-tropical aesthetic complete with neon signs, sharp angles, bright colors, and accouterments like plastic palm trees. Some, like the Caribbean Motel, are included on the National Register of Historic Places. 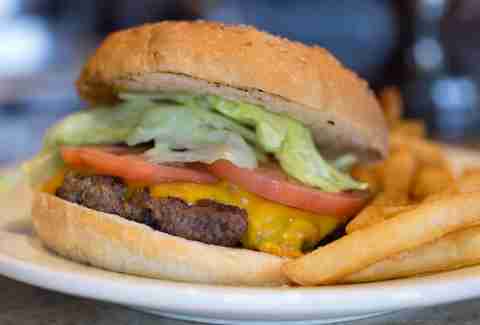 One of the most quintessential things you can do in the Garden State is visit a 24-hour diner in the middle of the night and order every greasy food you could imagine from the thick laminated booklet menu. Coach House, Chit Chat, and Tick Tock are just a few classic options to choose from. 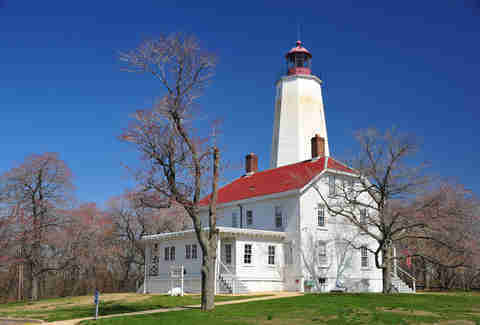 A beautiful, 7-mile state park beach at the northern end of the Jersey Shore, Sandy Hook is known for its impressive lighthouse and history as a military base. It’s a perfect day-trip spot (particularly if you’re coming New York City, as you can take the ferry from Wall Street to Sandy Hook in under an hour). If you’re looking for more than a day of lounging on the sand, bring your bike and ride around the area. 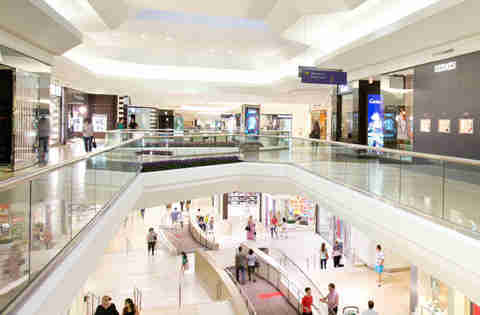 The Short Hills Mall is far from your average mall -- it’s officially called The Mall at Short Hills, which should give you a sense of its luxe offerings. Every high-end store you can imagine is here, with the added destination-worthy benefit of New Jersey having no sales tax on clothes or shoes. Even if you aren’t looking to drop top dollar on mass-produced clothes, the people-watching is a sight in itself. 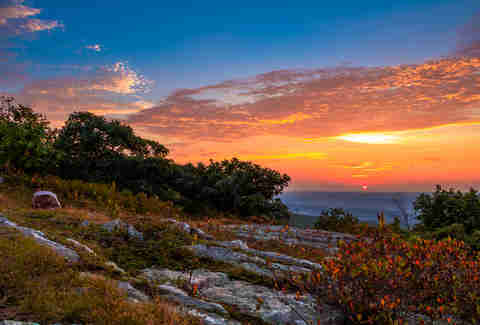 The Appalachian Trail is the longest hiking-only trail in the world, and spans a full 72 miles in New Jersey before continuing north into New York state. Take the trail through Stokes State Forest, into the Kittatinny Mountains, then stop at Sunrise Mountain for some of the best views. Also, be prepared to see some bears -- they’re out there. 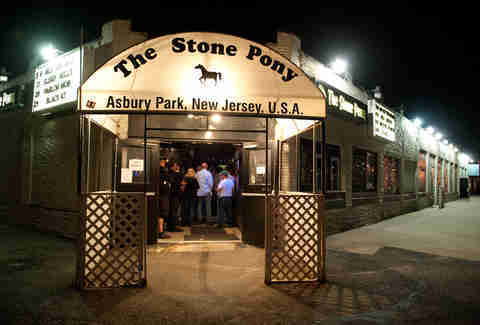 This legendary Asbury Park music venue is best known for launching Bruce Springsteen’s music career, and though The Boss graduated to arena shows long ago, the venue is still a must-visit Jersey destination, offering a lineup of tribute bands and indie artists alike. The best time to go is in the summer, when its beachfront outdoor concert stage is set up. 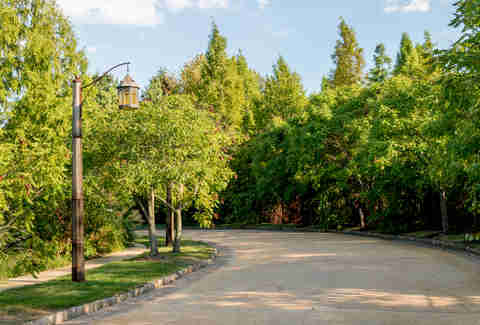 New Jersey might be the most densely populated state, but its southern and western parts are home to sprawling rural towns with farms and apple orchards. 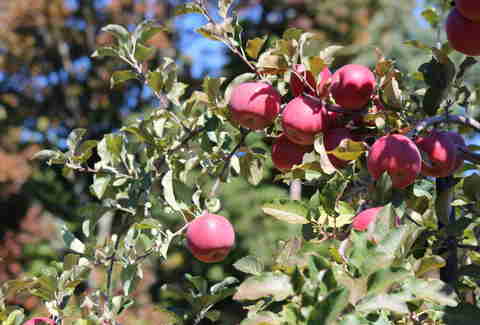 In the fall, one of the best things you can do on the weekend is go apple and pumpkin picking. Melick’s Town Farm, Demarest Farms, and Mackey’s Orchard are a few to choose from -- be sure to load up on cider donuts and apple pie while you’re there. 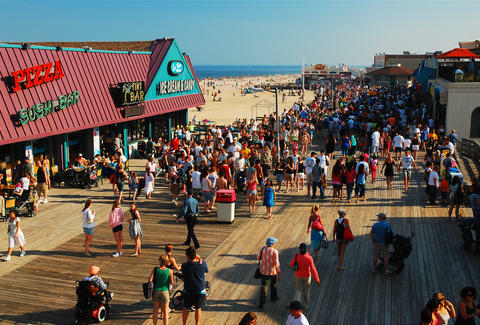 Getting a taste of the Jersey Shore side of this great state is as easy as spending 10 minutes on the boardwalk at Seaside Heights, the beachside town where the MTV reality show was filmed. 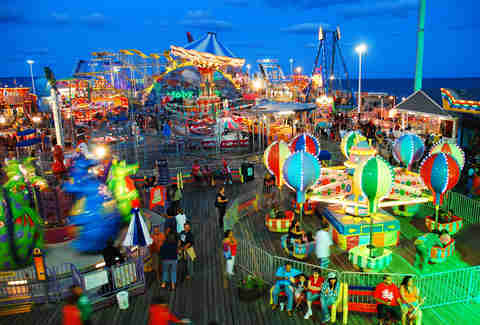 Walk along the boardwalk and you’ll see neon shirts for sale with sayings like, “What Happens in Seaside Stays in Seaside” emblazoned across the front, in addition to kid-friendly attractions like a singing ice cream parlor, an amusement park, and an arcade. 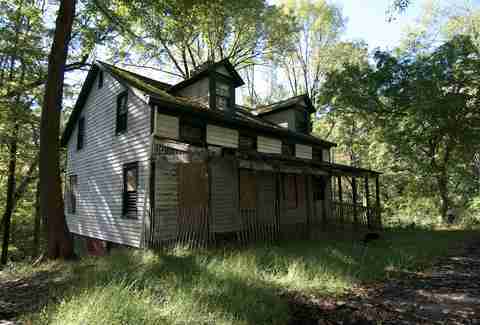 The most densely populated state is actually home to some pretty deserted places, like the Feltville Historic District in Watchung Reservation. The one-time-small-town was inhabited in early 19th century by some 175 people, but when the town mill (its main economy) was sold, the town increasingly emptied out until it was abandoned. The deserted houses are still standing, and it’s a pretty cool sight to see the ghost-like area in the wooded trails of the reservation. Pork rolls are New Jersey. The unofficial state food also goes by Taylor ham (depending on what part of Jersey you’re from), but the end product is the same: a processed meat (made mostly of pork) that tastes best on a breakfast sandwich with a fried egg and cheese. Some of your best bets for pork roll include the Summit Diner, Fredon Deli, White Rose Diner, and Olde Towne Deli. Elaheh Nozari is a former editor at Thrillist and a New Jersey native.